G. Martin Hunter is an attorney with an expertise in debtor-creditor matters. He has an AV rating from the Martindale-Hubbell Law Directory, the highest level of recognition possible. 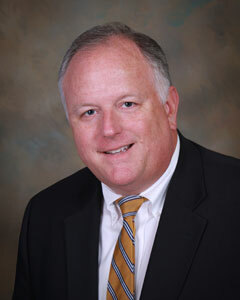 He offers bankruptcy advice in Charlotte and throughout Western North Carolina. He serves a wide range of clients, including individuals and businesses. G. Martin Hunter is certified as a Specialist in Business and Consumer Bankruptcy Law. We offer Charlotte bankruptcy help and guidance. In addition to representing individuals seeking a fresh start through bankruptcy, and businesses facing financial challenges, we also represent clients in litigation involving relief from stay, preferences, lien avoidance, secured transactions, fraudulent transfers and setoffs in the bankruptcy court. We also help clients in collections, workouts, deficiency and guaranty defense, landlord-tenant matters, state court receiverships and other commercial litigation disputes and other matters in state court in Charlotte, North Carolina. G. Martin Hunter has been helping financially stressed people and businesses in the Charlotte and Western North Carolina area obtain a fresh financial start for over 20 years. He has represented individuals and corporations in nearly 1,500 cases in the Bankruptcy Court in the Western District of North Carolina. Martin grew up in Asheville. He is a graduate of Asheville High School and is an Eagle Scout. He received his Bachelor of Arts degree from Davidson College in 1980 and his Juris Doctor (law) degree from Wake Forest University in 1986. He graduated in the top fifth of his law school class. From 1987 1989, Martin served as the law clerk to the Honorable George R. Hodges, United States Bankruptcy Judge for the Western District of North Carolina. Martin is a Board Certified Specialist in Business and Consumer Bankruptcy Law by the North Carolina State Bar Board of Legal Specialization. He is a member of the National Association of Consumer Bankruptcy Attorneys and the North Carolina Bar Association, where he has served twice on the Executive Council of the Bankruptcy Section. He holds an AV rating from the Martindale-Hubbell legal directory, the highest rating available. Martin lives in Charlotte with his wife and has two children attending college. He is active in his church, and is the former President of the Board of Directors of A Child's Place of Charlotte, which assists homeless and at-risk children in the public school system. -Certified as a Specialist in Business and Consumer Bankruptcy Law by the North Carolina State Bar Board of Legal Specialization. -AV Peer Reviewed rating from Martindale-Hubbell Legal Directory, the highest level of recognition possible. -Over 25 years of law practice. -Served as Law Clerk to the Honorable George R. Hodges, U.S. Bankruptcy Judge, from 1987 1989. -Mecklenburg County Bar Lawyer Referral Service Attorney of the Year in 2007. -Member of National Association of Consumer Bankruptcy Attorneys. -Served twice as a member of the Executive Council of the Bankruptcy Section of the North Carolina Bar Association. -Has assisted thousands of individuals in getting a fresh start through the use of the federal bankruptcy laws. -Also assists clients in matters involving foreclosure defense, debt defense in state court, tax collections, wills, living wills, health care powers of attorney and durable powers of attorney. -Graduate of Wake Forest University Law School.